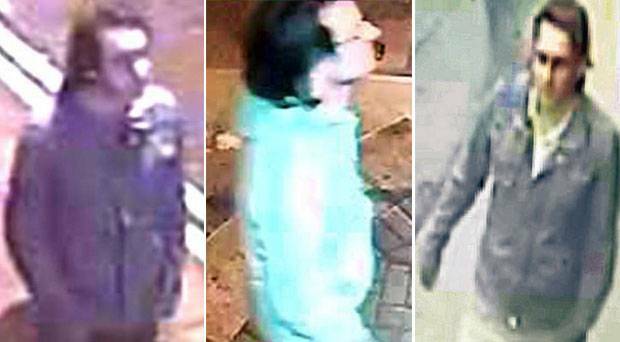 CCTV stills have been released by Gardai of a man they suspect has carried out a number of shocking sexual assaults in the city. Gardai have been trying to track down the man for more than two years. In both cases the women were alone and described as “very indecent and disturbing”. It is understood the man maybe responsible for other serious attacks which have not been reported to gardai. The man who is described as having a slim build, is around five feet, eight inches in height and wears glasses. Gardai say that he has a distinctive hairstyle and nose shape and that he wore black rimmed glasses during both attacks. Officers have stressed, however, that the man should not be approached by members of the public. Anyone with any information about the man in the pictures or the attacks that occurred in Rathmines or Lord Edward Street should call gardai at Pearse Street Station at 01-6669000, the Garda Confidential Line 1-800-666-111 or any local garda station.